About Sisters’ Journey - Sisters' Journey Inc.
Sisters’ Journey is a caring and powerful support group for breast cancer survivors, their family, and their friends. Sisters’ Journey is a caring and powerful support group for breast cancer survivors, their family, and their friends. Sisters’ Journey is a faith-based activity instilled for the purpose of ensuring that no women have to endure or experience the challenge of facing the obstacles that accompany the reality of being diagnosed with breast cancer alone. 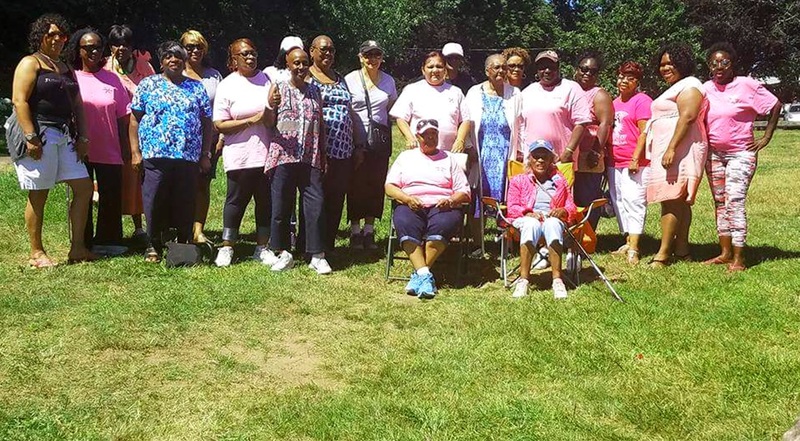 Since it’s inception in 1999, the Sisters’ Journey organization has lent support to hundreds of women and their families during and through the trials and tribulations of breast cancer and the devastation it can cause. Sisters’ Journey has been a strong and active voice promoting and educating all about the importance of early detection, being proactive about treatment, information, and services available. Sisters’ Journey’s mission is to use our collective energy and join forces with others to heal women physically, emotionally, and spiritually. Advocacy of early detection and good treatment is our key focus. We advocate and promote “survivorship.” Many who join us have survived the discovery of breast cancer and will tell their stories of days, months, and years of living full and meaningful lives after being diagnosed with breast cancer. One of the organization’s greatest contributions in the support of women with breast cancer is the Sisters’ Journey Annual Calendar. This is a twelve-month calendar that highlights the faces and stories of struggles to triumphs of breast cancer survivors. The calendar proves to be a tangible means of encouragement, support, and vision to all that might be facing the challenge of the fight against breast cancer. Each page of the calendar is graced with women that are winners and warriors in their personal journey with cancer. We will meet every third Tuesday of the month at 5:30 pm at St. Luke’s Church in New Haven. We provide support whether you are actually diagnosed or suspect a problem. We are here for you. Information and comfort are our prime services. We spread information about the advantages of early detection. Most breast cancer patients live long, fruitful, and full lives, if the cancer is discovered early. We demonstrate monthly breast examination techniques and if you desire we will accompany you and your hands while you get an annual mammogram. For those who may need other kinds of assistance, we have a list of organizations that partner with Sisters’ Journey. We celebrate each and every success every step of the way and share our stories of winning the battle! Take care of yourself. Get an annual mammogram. Examine your breast each month. Seek good information, if you are touched by cancer. Come to our confidential sessions on Tuesdays at 5:30 p.m. at St. Luke’s Church, 111 Whalley Avenue, New Haven, CT 06511. Think positive and believe that you are a survivor!